My publisher has a passion. You see that passion in what Plum Tree supports. 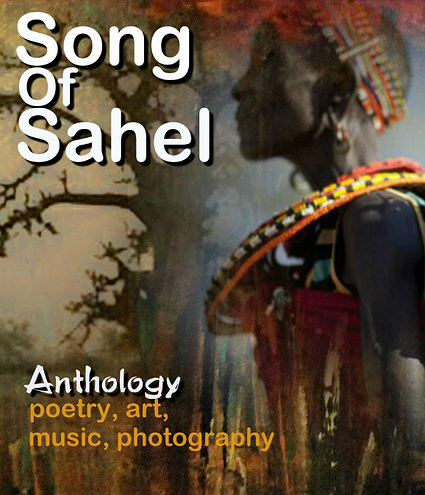 Soon, Plum Tree will put out a book and hold an art auction to raise money to help people in Sahel. Where is the Sahel? Here. A piece of my art is part of the auction, too. I know that many places in the world need, but we’ve got to start somewhere. Like the parable of the starfish, Sahel is another starfish. Why not begin by helping save this starfish? Every starfish matters. Plum Tree is my publisher, and I want Plum Tree to succeed, and I want what the Plum Tree supports to succeed. That includes good causes and that includes me. This is where the self-sabotage comes in. I want to do enough to support others and support myself. Fear of bothering others, of getting it wrong, of failing, helps me procrastinate on what I need to do. That nagging feeling that I’m not doing enough manages to keep me from doing anything except to make excuses. Why is there always time to make excuses and no time to do anything constructive? Now, I’ve got a novel to edit and an art show to prepare for. You can follow these endeavors on my facebook page. Lovely Blog Marta…Thank You for sharing this. And yes! Doing the smallest thing can make a difference if we all do a small thing. Most of the time I feel I’m doing only small things, nothing really big enough to make a difference. But every effort should add up, one hopes. Thank you for all you do, Niamh. Thank you. I’ve heard of the flylady, and she sounds great. Oh, that annoying P word. I keep banishing it, but it keeps coming back. Thank you, Tonia. We may well be in cahoots. Which is good because I don’t want to be all on my own here. Thanks for the reminder, Claudio. I enjoyed your show the other day and look forward to this next one. And thank you for coming by too. Marta, this is such a beautiful post and will draw many to the SOS Sahel event, I’m sure. I also adore your artwork. Such a talented woman, you are. Thank you, Cher. I hope my posts help at least a little.